Clever Christmas Block Signs – Only $12.99! How fun are these signs?! 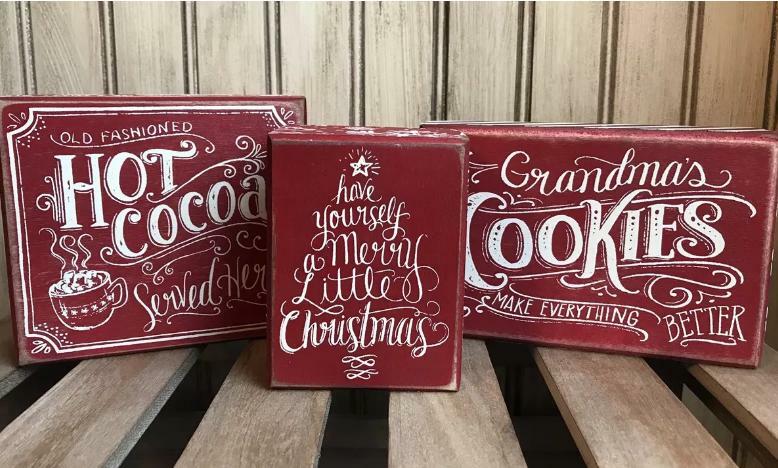 Right now, Jane has these adorable Clever Christmas Block Signs for only $12.99! (Reg. $21.99) Choose from seven awesome designs currently available and choose from red or green backgrounds! So perfect to add to an entryway table or to give to friends or family!